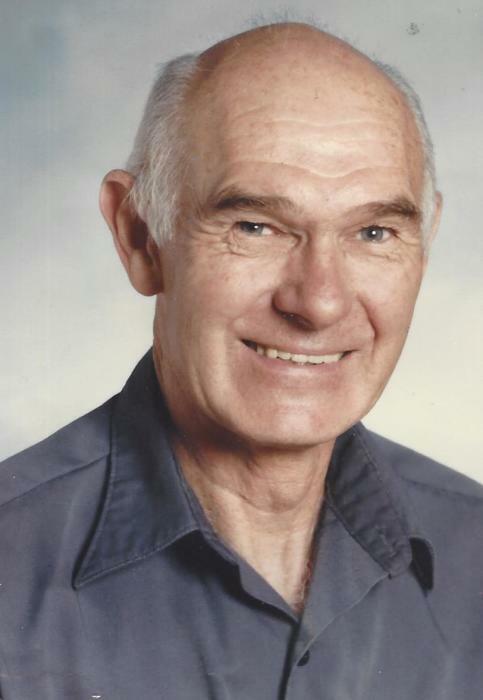 Keith E. Kimmel, 92 years of age, passed away Thursday January 24, 2019 at his residence. Born in Ravenna, Ohio on March 10, 1926, he was the son of the late George and Mildred ( Miller ) Kimmel. A lifetime Mantua resident, He had been employed at Crestwood Schools as chief custodian from where he retired, and also had been road supervisor for Mantua Township for several years. Keith proudly served his country during World War II in the U.S. Navy. He was a member of the Ravenna Odd Fellows, and a longtime active member of the Society of Blind, and a member of the Church of Jesus Christ of the latter Day Saints, Hiram Ward. Keith enjoyed fishing, gardening and raising animals. He is survived by his niece Linda Wyers and nephew David Petit both of Mantua, and many other loving nieces, nephews and family members. He was preceded in death on July 5, 2017 by his wife Ariel Alice Kimmel. No calling hours. A graveside funeral service will be held at Maple Grove Cemetery in Ravenna at a later date. Officiating will be Bishop Tommy Aardema. Full military honors will be observed by the U.S. Navy Honor Guard Team, assisted be members of Mantua American Legion Post No. 193. Arrangements are by the Green Family Funeral Home & Crematory Service in Mantua where condolences and memories may be viewed at www.greenfamilyfuneralhome.com.